For Office Manager Appreciation Week, Managed by Q is featuring the people who keep teams happy and productive. Amber Nagel joined Whistle Labs as the Office Manager and HR coordinator in December 2015 after serving as a client success manager at ZeroCater. She is now the Project and Facilities Manager and has overseen an office move and rapid company growth. Whistle Labs makes a GPS monitor and activity tracker for dogs and their dog friendly headquarters is located in San Francisco. 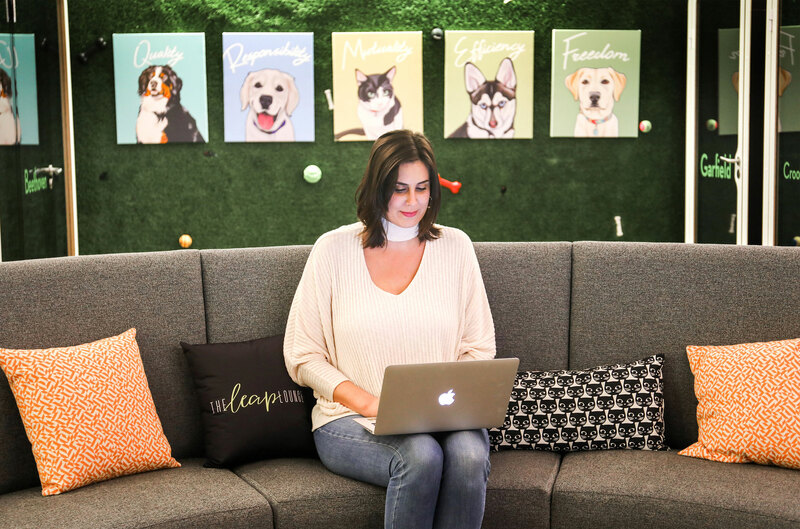 We talked with Amber about how she manages her many responsibilities to create a great work environment for her colleagues and their four-legged friends. Tell us about your role at Whistle Labs. I’m a huge dog person and am interested in facilities management, event planning, and Human Resources. After working in a client success role I wanted to orient myself more towards office management. I work on onboarding for new hires, recruiting coordination, facilitates management, event planning, and employee relations. We now have about 85 employees, with 45 in our San Francisco headquarters. We also have a remote customer experience team based in San Diego, Colorado, and Oregon. My role is very reactive. Beyond making sure our facility is in good condition, I greet candidates, guests, and vendors, set up conference rooms, and deliver packages. Our remote team starts at 6 am and I’m their go-to person for supplies and benefits requests, so it’s a lot of playing catch up. Before I worked in startups I was working in Napa as a wedding coordinator. I love planning events and the fact that event planning is part of my job is a dream. When you are planning somebody’s wedding you have a lot to juggle and I feel like those skills contribute to my success at Whistle. If I’m not doing a lot of things I get bored and feel like that’s when I drop the ball. With so many responsibilities, what strategy do you use to streamline your workload? To manage the requests that come in throughout the day I have multiple inboxes and I create a to-do list based on my priorities. I categorize my inboxes with different flags such as urgent, on hold, waiting to hear back, and tasks I’ve delegated out. I work to set clear expectations for the requesters. I know how long something usually takes and buffer the time it will take accordingly. With larger requests, like getting patent documents signed, I anticipate that something may go wrong, so I surprise them if it’s faster. Slack is usually where I follow up with requests. I use it like a to do list. I’ll leave the requestor's name under the direct message section and then clear them out when the request is completed. I also find “teachable moments” when someone has a question or request and show them how they can the answer it themselves in the future in order to limit the amount of disruption to their day next time. 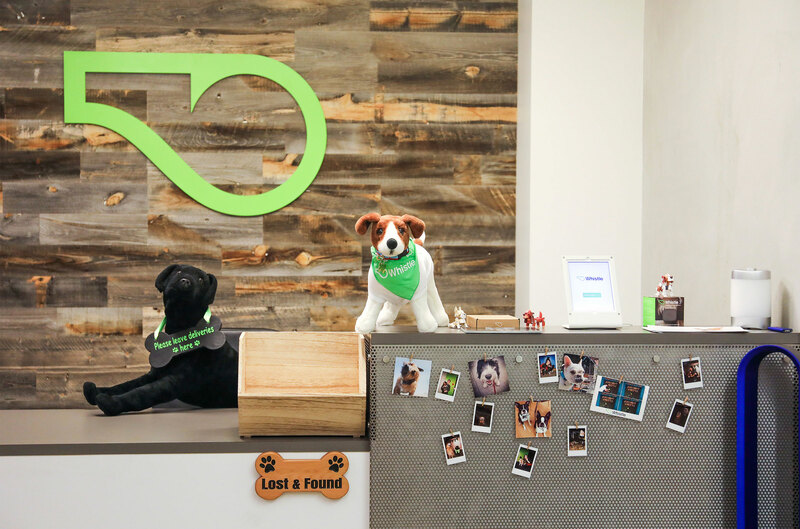 Let’s talk about a core part of your business: dogs. How many are in the office and how do you manage that part of your job? You can’t really have a bad day here because there are always dogs in the office. On a good day we have as many as 10 dogs in the office, but usually there are about 6 to 8 per day. Being such a dog friendly office brings a whole other level of complexity to the HR and workplace policy. Employee relations are really important to me. I’ve worked hard to earn trust and build confidence with my team and have helped relationships at Whistle flourish. Our HR Manager has noticed our employees feel safe to come to me with issues that they don’t always feel comfortable going to their own manager about. I keep confidentiality and make sure the issues get addressed. Sometimes it’s like being a part-time therapist and you just have to listen. I make sure I can dedicate the right amount of time and set limits so I make it more of a constructive conversation as opposed to a venting session. Is there a project you’ve taken on that supports your company’s unique culture? When I first started, our weekly all hands meeting was very informal and consisted of each manager giving a brief update about what their team was working on. I felt it could be more efficient in terms of building connections throughout the company and including the remote team. I worked with the leadership team to make it more effective. We dropped the frequency to once a month and are more focused on celebrations and wins. We introduce new hires with “two truths and a lie,” do a “guess who” for long term employees, and highlight people across the organization and invite them to give deep dive presentations. The meeting is constantly evolving and it's nice to have an organization that supports that change. What drew me to the job was that I wanted to help other people be successful. To be a good office manager you have to have a certain type of personality to boost productivity for people and be warm and accessible. You can learn the skills on the job. As an office manager I feel I can have a greater impact than I did as a client success manager. You can see the results of your work and focus on making a positive experience for everybody in the office, whether it’s a colleague, guest, or vendor.